Who doesn’t like a decent anime work. Appleseed is one cool futuristic animation that takes place in 2131 and reveals the story of struggles between the humans and the bioroids. It sort of reminded me of Terminator 4 but of course this is an anime. 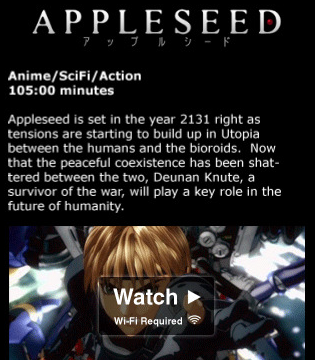 Appleseed Anime Network is an iPhone app that lets you watch the complete movie right on your iPhone over WiFi. There is no limit on how many times you can watch this movie, and you are provided with a whole lot of character stories and background information to help you better get familiar with the story. 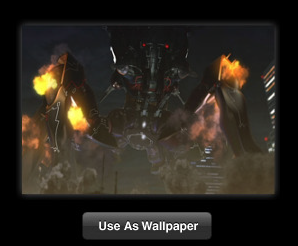 You not only get the whole 105 minutes of this movie on your phone, you gain access to Appleseed wallpapers as well. Best of all, you can chat with your friends and go through the forums to discuss characters and the story. Appleseed Anime Network may not be your every day app, but it can be entertaining if you are into Animes. The extras are a plus. If you have about 2 hours to burn, this app a good way to entertain yourself.